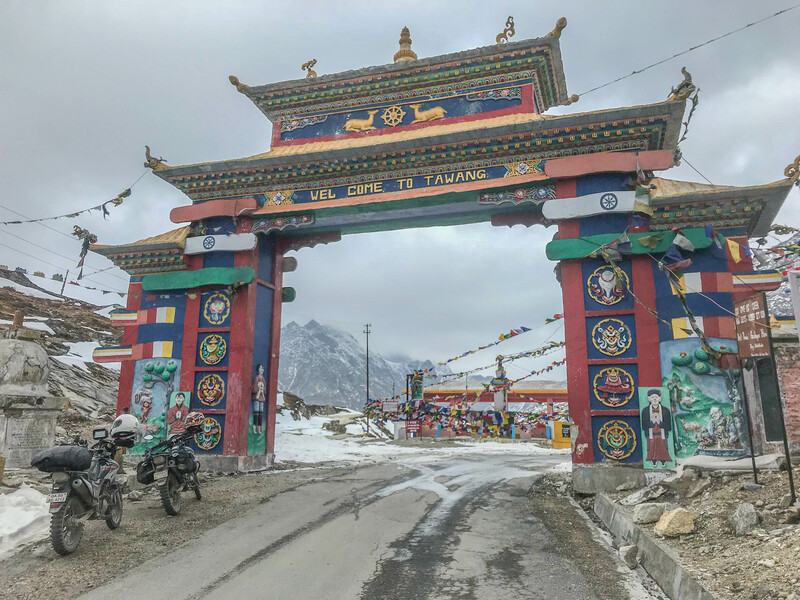 This is the Gateway to Tawang at Sela Pass. On the other side of this arch lies the beautiful Sela lake. The Sela pass sits at an altitude of 13,700 feet. It isn’t at high as the passes in Ladakh and as a result the Border Roads Organization (BRO) is able to keep it open all year round. Its the only road to Tawang and the border areas near China. The weather in this part of the country is highly unpredictable. Which makes crossing this pass a huge variable. While going to Tawang, there was some snow at the side of the road. But while returning back after three days, the story was a completely different one.